Vilho and Ritva Martinmäki founded Marra Oy in 1989. In 2001 control of the company was handed down to Pertti Martinmäki, who became CEO of the company. – San Salvador (Bahamas). They took silver in the competition. 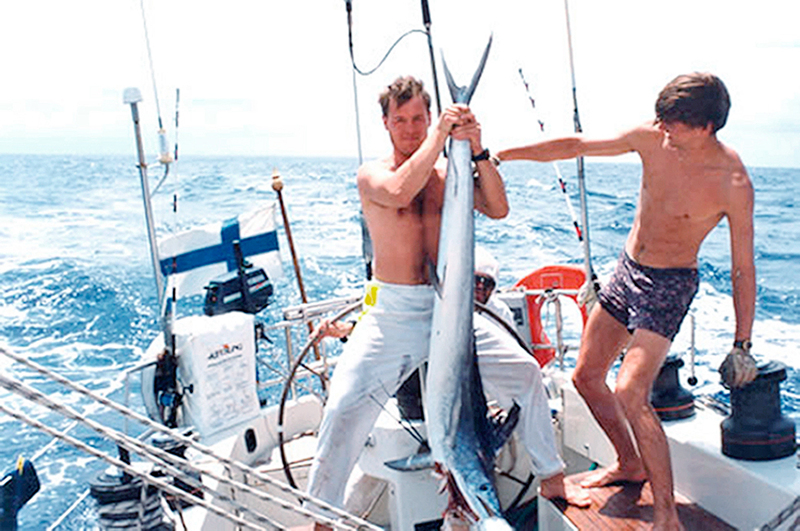 Pictured: Pertti Martinmäki holding a blue marlin. Location: Bermuda Triangle.